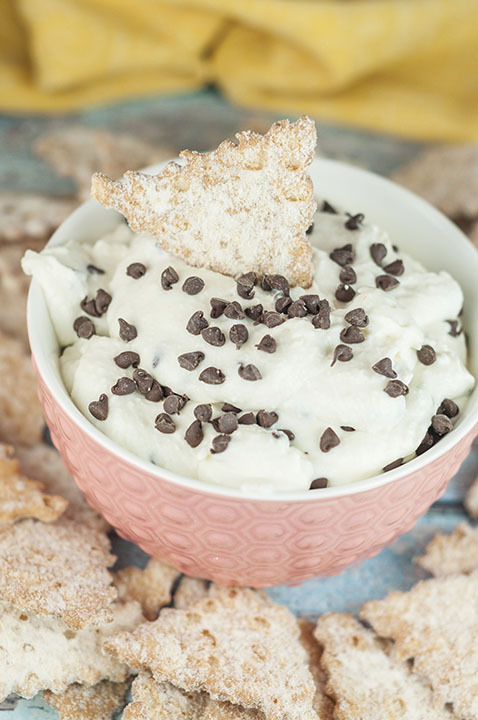 Easy Cannoli Dip recipe is a deconstructed version of an Italian cannoli in a sweet, creamy dessert dip form that you’re sure to love! Happy March, everyone! Exactly one year ago today I was in the warmth and sunshine of the Dubai dessert and today I am staring out the window just longing for spring. I’ve had a taste of the warmer weather in these past couple of weeks and I want more! Who doesn’t love celebrating the big games with great food and wine? Yummy food is just that much better when you enjoy it with a good wine. 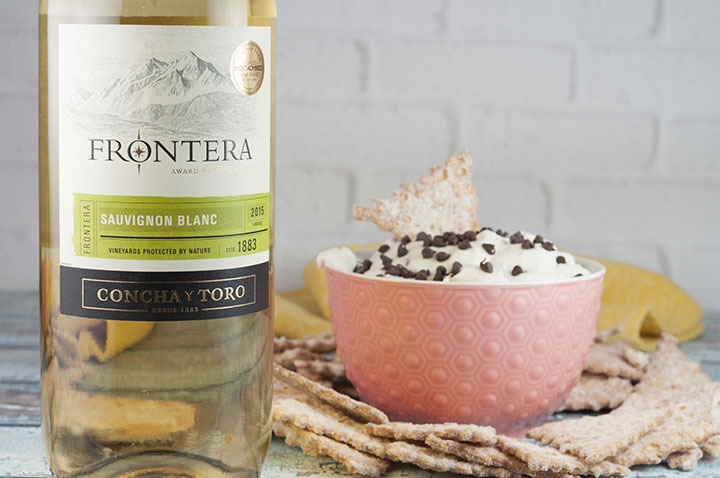 I’m happy to have discovered Frontera Wines because I don’t think there was a better wine to go with this Easy Cannoli Dip for any big game you may be watching soon. Their wine is perfect to serve at sports viewing parties or to pair with any game day recipes (sweet or savory). You can’t go wrong with a good Sauvignon Blanc and a dreamy, creamy dip! 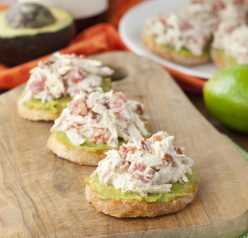 With only a small handful of simple ingredients and just 10 minutes of your time, this is a perfect sweet snack or dessert when you need to whip something together quickly for company for game day parties. I may be partial to Italian desserts since I am Italian and all, but this recipe is sure to be loved by everyone! Who wouldn’t love a dip packed full of multiple kinds of cheese? It’s a gloriously delicious dip, my friends. Serve it with cannoli chips and you’ll be enjoying the taste of a delicious bakery cannoli in no time at all. 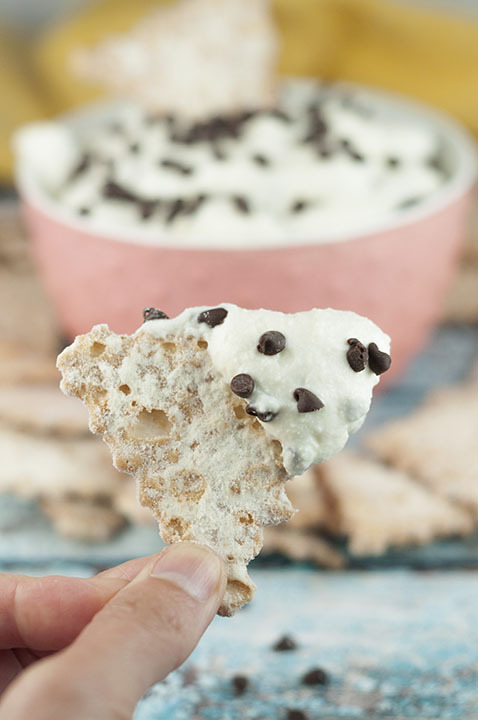 This Easy Cannoli Dip is a quick fix when you have a sweets craving and delivers the beloved flavor of cannoli filling in a fraction of the time. Less time spent on preparing the game day snacks means more time for enjoying the wine. 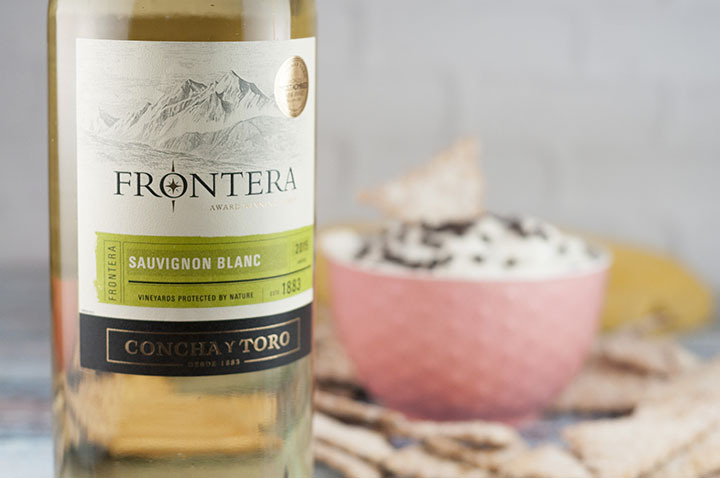 Frontera wine makes every moment tasty, not just on game day! Be sure to try it out soon as it’s sure to be one of your new favorites. Whichever event you decide to make this Easy Cannoli Dip for, just promise me that you will make it. I think I may have found my new favorite party snack. No one will judge you if you just go ahead and bathe in it. It’s that good. If you love this one, you’re sure to love my collection of dessert dip recipes. Did some say Tiramisu Dip? Enjoy! You can also read all about the Frontera Wines Game Day Sweepstakes. Be sure to go ahead and showcase how you celebrate your favorite team on game day and show your spirit for sports for a chance to win a brand new 55” HD flat screen TV! Who wouldn’t be super excited to win one of those? Take a look at my step-by-step video showing how to make this Easy Cannoli Dip! Easy Cannoli Dip recipe is a deconstructed version of an Italian cannoli in a sweet, creamy dessert dip form! Combine the ricotta cheese, powdered sugar, mascarpone, lemon juice, and vanilla extract in the bowl of a stand mixer (or use a hand mixer) and beat until well combined. Pour mini chocolate chips on top (mix in now or after it's chilled). 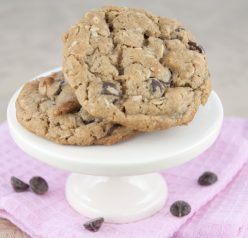 Mix in chocolate chips (if you haven't already) and sprinkle more on top for garnish. 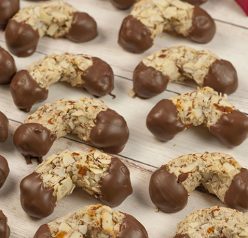 Serve with Cannoli chips, waffle cone pieces, strawberries, Nilla wafers, Pizzelles, Teddy Grahams, Graham Crackers, or whatever your favorite dippers are. I made cannoli dip many many years ago for a party and it was the most popular item of the night. Your version looks amazing with multiple kinds of cheese. I will have to make it for my next party! That sounds delicious, especially with that mascarpone, yum! This kind of dip is a staple at our house on holidays. Always a winner. The combo of ricotta and mascarpone is just perfection. I need to try this at the holidays! We used to always have Cannolis and I miss it! This sounds delicious! Love mascarpone!! You know how to live the good life. What a great way to relax with wonderful tastes to savor! ohmygoshhhhhhhh this cannoli dip is absolute P-E-R-F-E-C-T! My husband is obsessed with Cannolis! He would LOVE this!